Just like the previous brown rice burrito recipe, this also is a no-recipe type of recipe which is very easy to put together, yet nutritious and filling. Of course, kids approved too! Otherwise it won’t get on the Kids’ Lunch Box Ideas series. I had leftover cooked multi-grain pasta from the previous day after making the usual pasta with veggies and marinara sauce, more like a pasta primavera recipe. I tossed in some fresh and steamed vegetables, seasoned with spice and herbs at hand and voila a light and yet a satisfying meal all by itself ready to pack in no time. As I have mentioned earlier, this is a “no-recipe”, meaning you do not have to follow any strict measurements for the ingredients or for that matter you don’t even have to stick to the ingredients I have mentioned. Just play with whatever you have in your fridge and pantry and there is no way of this going wrong. 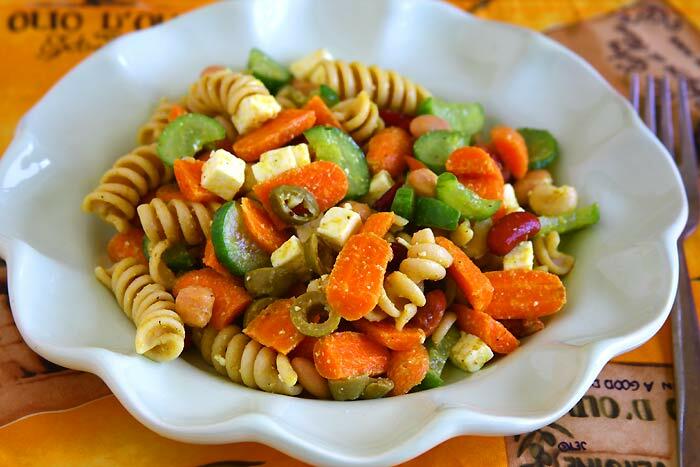 This vegetarian pasta salad recipe is pretty similar to the Indo-Greek salad recipe that I already have here except for the inclusion of pasta. 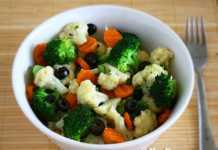 If you are looking for other healthy vegetarian salad recipes, click here. Toss together all the ingredients for the salad in a large bowl. Meanwhile in a small whisk together the ingredients for the dressing and pour it in the salad and mix well. Taste and season it more if required. While storing cooked pasta, make sure that you toss it in a teaspoon of oil (or more depending upon the quantity of pasta) and then store it in an air-tight container in the refrigerator so that it won’t be sticky when you want to use it for later. 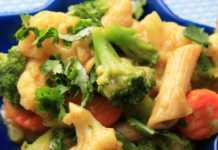 Diced avocado, corn kernels, colored peppers are some of the other vegetables that will be good in this pasta salad recipe. You can use raw carrots itself but I felt that biting chunks of carrots during lunch at school might be a little time consuming for kids. So I lightly steamed it to make it easier. Do not over-cook it and make it mushy. The texture won’t feel right. I’m using a combination of beans and paneer for the protein portion of the meal. Use any type of beans in hand or you can omit it too. You can also just use paneer/tofu/cheese alone. As mentioned above there are no hard and fast rules about what you can or cannot use. 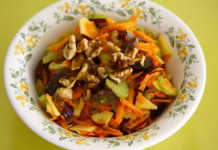 Just be creative and you will have a wonderful meal each and every time you make this vegetarian pasta salad.